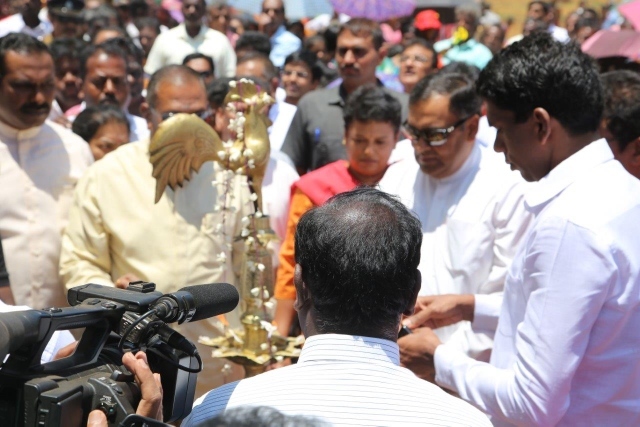 UN-Habitat Sri Lanka | Official Launch of the Plantation Housing Project in Sri Lanka’s Central and Uva Provinces. 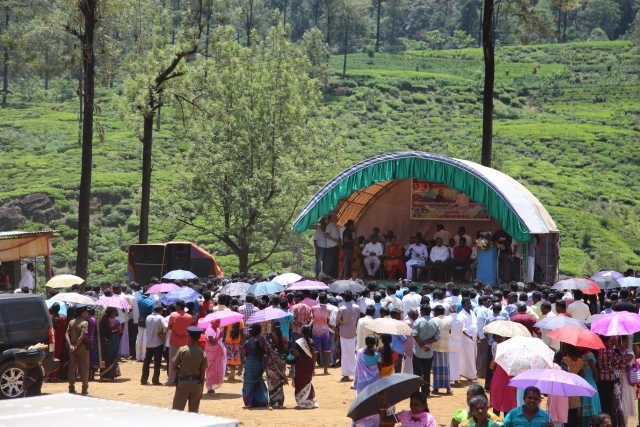 UN-Habitat Sri Lanka > News > Indian Housing Project in Central and Uva Provinces News > Official Launch of the Plantation Housing Project in Sri Lanka’s Central and Uva Provinces. funded plantation housing project in the Central and Uva Provinces was held today in the Nuwara Eliya district. The first phase of the 4,000 house project will provide permanent housing for 1,134 plantation sector workers who currently do not have access to adequate housing. UN-Habitat will be implementing this project in Nuwara Eliya district. 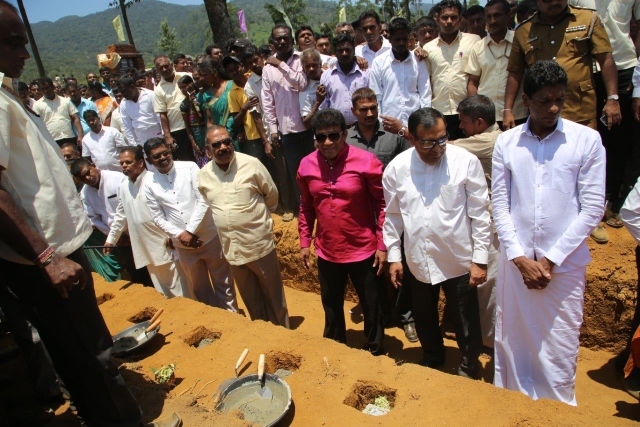 The ground breaking ceremony to mark the project launch was held at Dunsinane Estate in Nuwara Eliya with the participation of His Excellency. Y.K. Sinha, High Commissioner of India, the Hon. P. Digambaran, Minister of Hill Country New Villages, Infrastructure and Community Development, the Hon. Mano Ganesan, Minister of National Co-Existence Dialogue and Official Languages and the Hon. V.S. Radhakrishnan, State Minister of Education. A number of Senior Government officials, officers from the implementing agencies, Regional Plantation Corporations and beneficiary families who are to receive housing support also participated in the event. Addressing the gathering, Mrs. Ranjini Nadarajapillai, Secretary to the Ministry of Hill Country New Villages, Infrastructure and Community Development stated that 1,134 houses will be constructed during the first phase of the project in the districts of Kandy, Nuwara Eliya, Hatton and Badulla, of which 554 houses will be constructed in Nuwara Eliya district. 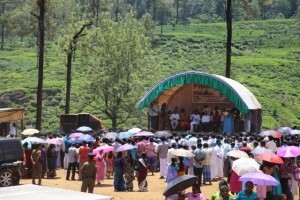 Four implementing agencies – the United Nations Human Settlements Programme (UN-Habitat), International Federation for the Red Cross and Red Crescent Societies (IFRC) with Sri Lanka Red Cross, Habitat for Humanity and the National Housing Development Agency (NHDA) have been selected to implement this project, in close collaboration with The Plantation Human Development Trust (PHDT), the respective plantation management companies and cooperative societies. The Indian Government is providing approximately $30 million funding for the project over the next two years.